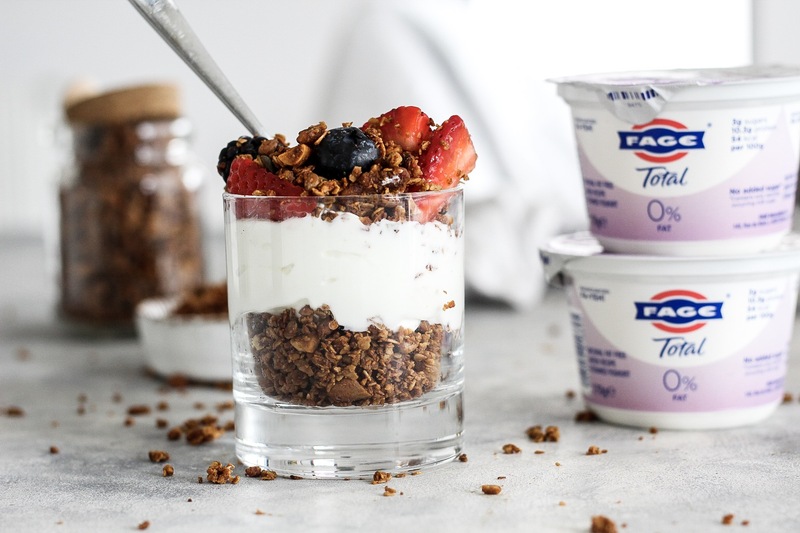 This recipe post was sponsored by FAGE UK. In a food processor add your almonds and blitz until they form chunks. Next add in walnuts and peanuts, and blitz again until a chunky mixture is formed. In a large bowl empty your nut mix, and add your oats, pumpkin seeds, sunflower seeds and desiccated coconut. In a separate bowl combine the vanilla extract, coconut oil and peanut butter. Pour wet ingredients into dry, and combine until the dry ingredients are evenly coated with the wet mixture. 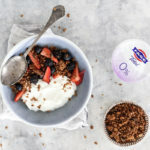 Scatter on a baking tray lined with parchment paper, and place in oven for 15 minutes before tossing the granola and putting back in the oven for a further 10 minutes. 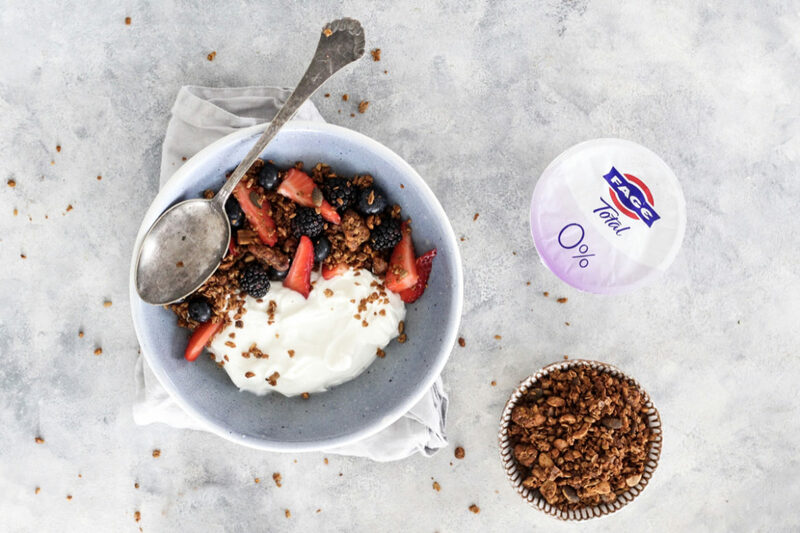 Leave to cool completely before adding to bowl or glass with FAGE yoghurt and fresh fruit.